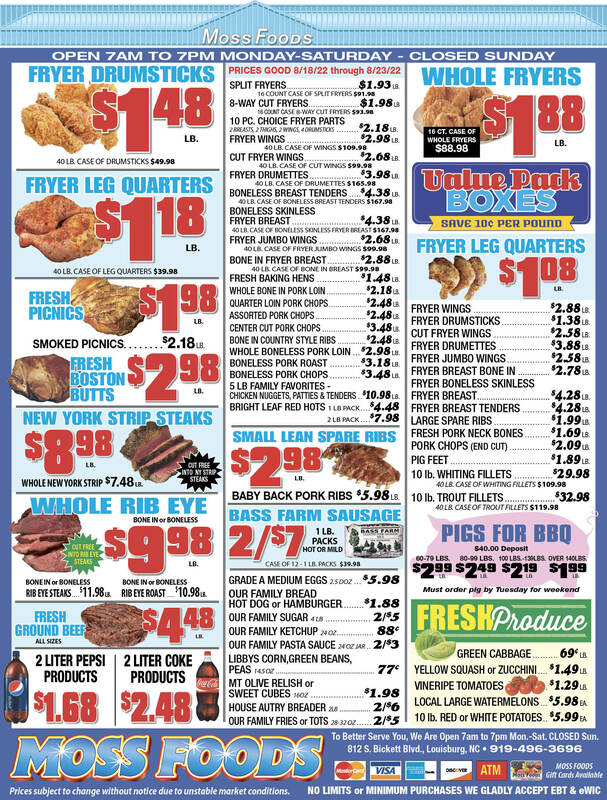 Showing 38 articles from June 6, 2018. LOUISBURG -- Along party lines, the Franklin County Board of Commissioners adopted a budget that boosts spending, increases the tax rate and adds more people and resources to county government. The $81.6 million budget could also increase by another $436,969 during the 2018-19 fiscal year if the county -- rather than the state -- has to pay for four new school resource officers that would put a law enforcement officer in every school. 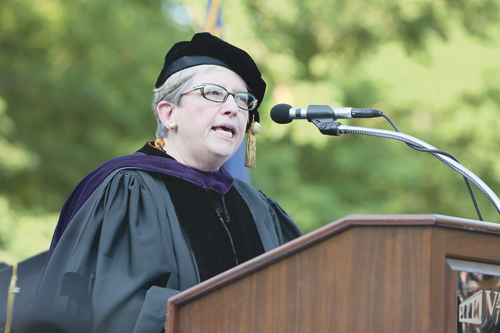 ­­­HENDERSON -- Franklin County students were front and center as Louisburg's Sovanny "Sophie" Taylor was the student speaker and dozens more received degrees during Vance-Granville Community College's recent graduation. VGCC, like the virtual assistant "Siri" of Apple's phone and computer devices, can serve as a GPS, Taylor told the graduates during the college's 49th commencement exercise on May 11. LOUISBURG -- Healthcare professionals planning to open a local hospital later this year plan to take the next step in that endeavor. Maria Parham Health, part of Duke Lifepoint Healthcare, is slated to host a job fair on June 14 in the multipurpose room on Franklin County's Vance-Granville Community College campus. CASTALIA -- In a meeting that touched on a number of topics, a community group working to bring a spotlight and prosperity to northeastern Franklin County also moved closer to putting a mechanism in place that will help their effort. Alice Faye Hunter, who serves as the group's interim treasurer, said that students with the UNC School of Law are helping draft articles of incorporation and bylaws. LOUISBURG -- The Franklin County Board of Commissioners agreed to join other litigants in a pursuit to hold manufacturers and distributors liable for an opioid epidemic that is gripping the country. In April, Attorneys George Daniel and Neal Ellis told commissioners they were part of a consortium of law firms representing governmental entities across the country who are trying to recover from the drug industry monies they have spent to combat the opioid epidemic -- namely expenses spent on emergency services, law enforcement and other social service needs that have been impacted by the drug problem. LOUISBURG -- For more than 30 years, law enforcement was life for Robert Redmond. That life came to an end on Tuesday. He was 70. "I learned a lot from the man," said Jerry Jones, who worked at the sheriff's office under Redmond and succeeded him in the 2002 election. Will summer's arrival fix crazy weather pattern? It's now officially summer -- unless you're a meteorologist who has those silly rules about the summer solstice and all that! But the rest of us know that once Memorial Day is in the rear-view mirror, the swimming pools are open, gardens and crops are growing and the heat and humidity are seriously teasing us, it's summertime! Hopefully the May Monsoon season is behind us and farmers and gardeners alike are scrambling to get back on schedule. First, a prediction: Over the next few weeks, your Franklin Times will feature dozens of photos and stories about local students and their scholastic accomplishments. 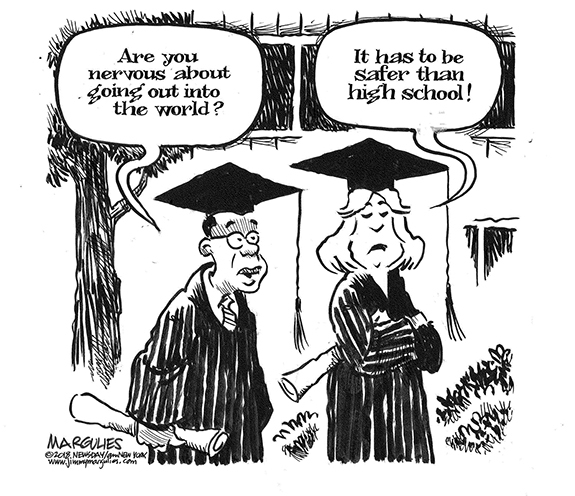 There will be stories and photos of scholarship award winners, stories of those who have achieved various academic and service honors and, of course, the annual graduation edition with photos of those local young people who have earned their high school diplomas and are off to make their mark on the world. 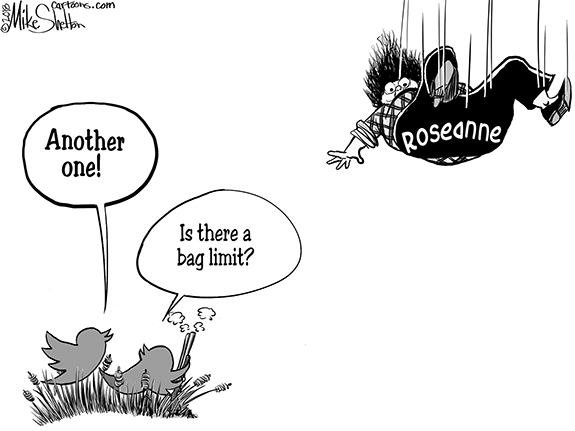 I've been in enough newsrooms to know what a dark sense of humor most of us in this business tend to foster. A lot of that has to do with our own mortality, leading plenty of folks in this business to have crafted their own obituaries -- updating or tweaking them on a yearly basis, as needed. Hey! What exactly is your problem? When it comes to solving a problem, before the undertaking of it starts, it is first necessary to understand what the real problem is. This would appear to be common sense and obvious. It is not always as simple as all of that. Conversely, I offer it is rarely that simple. Take the example of purchasing radios without the result of effective communications. The problem is obvious, the radios do not work. Is that the problem? WHITEVILLE--Robert (Bob) Gilbert Stanley, 88, of Whiteville died Sunday, May 20, 2018. LOUISBURG - Robert Glenn Redmond, 70, of Louisburg, died Tuesday evening. BAG THIEF. 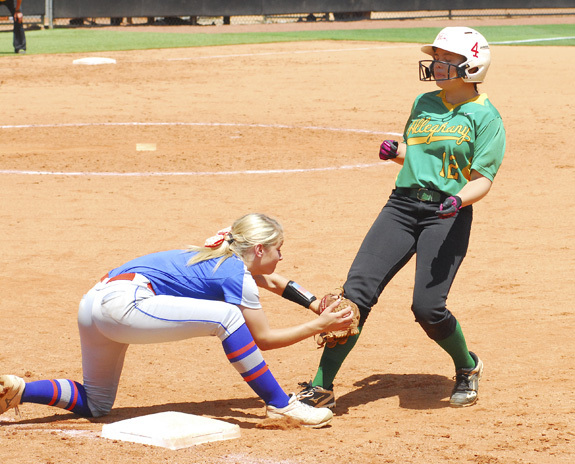 Louisburg's Alex Edwards (right) steals second base during last Saturday's action in the Class 1-A State Softball Playoffs in Raleigh. RALEIGH - Only the beginning. 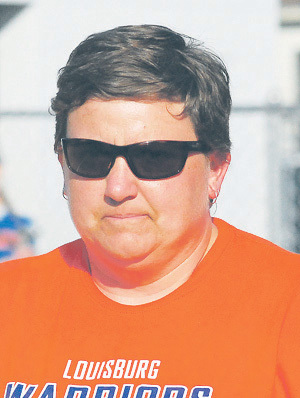 For Louisburg High School head coach J Stamey, that was the theme of her postgame comments to her club following its disappointing series setback against Alleghany in the Class 1-A State Softball Finals. 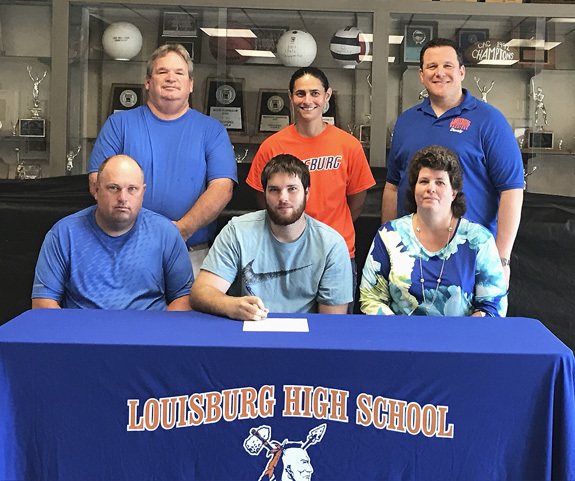 LOUISBURG -- Louisburg High School has been successful and competitive on the baseball diamond for years against area opponents, so it was no surprise when the Warriors made a smooth transition this spring from the Class 1-A Tar-Roanoke Athletic Conference to the split 1/2-A Northern Carolina Conference. A strong senior class along with some potential-rich newcomers helped the Warriors to a solid 11-9 record that included a 9-7 mark in league action. TOUGH TO TAKE DOWN. 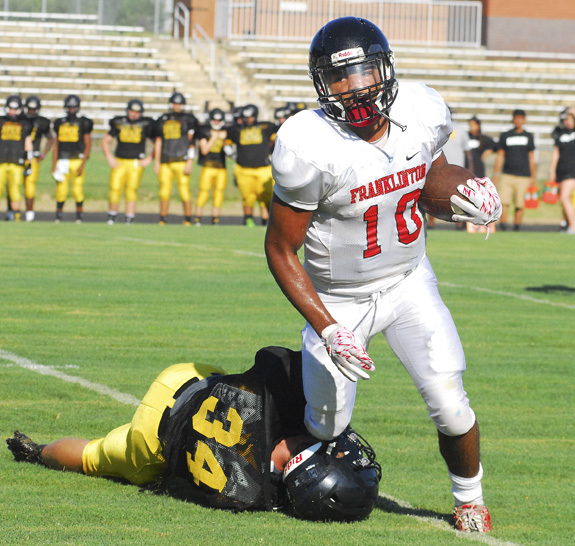 Tyreese Williams' unique combination of power and speed helped fuel his successful tenure as a member of the Franklinton High School football squad. 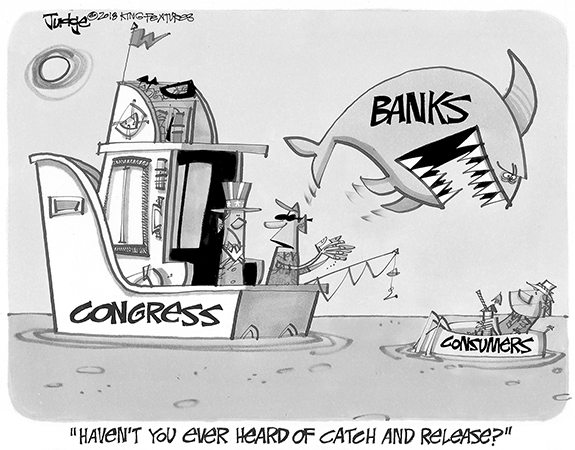 FRANKLINTON -- Stay the course. Do the right things. Those were the two messages Tyreese Williams always shared with himself when the winding road toward a potential spot on a four-year college became tenuous. That journey continued last Thursday at the Franklinton High School Media Center when Williams signed a letter-of-intent to continue his gridiron career at Wingate University, a Division II school located near Charlotte. BUNN -- Vance-Granville Community College is in a rebuilding phase with its men's basketball program -- and Cam Alston hopes to play a key role in that resurgence. 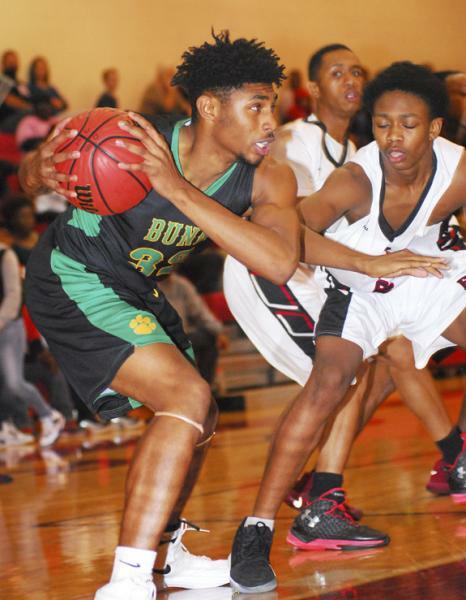 Alston, a senior forward for the Bunn Wildcats, signed a letter-of-intent last Thursday to continue his career at VGCC. FRANKLINTON -- Three players from Franklinton High School have earned spots on the 2018 All-Big East Conference Baseball Team. Making the all-conference squad from FHS were freshman Robby Burnett and junior Nicholas Mitchell. FHS' Layton Perry, a junior, picked up a selection on the honorable mention list. ZEBULON -- Mario Feliciano went 2-for-4 with a score-tying home run and Joantgel Segovia went 2-for-3 with a triple in his Carolina Mudcats debut, but Down East's Franklin Rollin broke a 4-4 tie in the fifth with a go-ahead homer as the Wood Ducks defeated the Mudcats 6-4 on Tuesday night at Five County Stadium in a Class A Carolina League diamond showdown. BUNN -- The annual Bunn Youth Football Camp will be held July 9-11 on the campus of Bunn High School. The camp will run from 9 a.m.-Noon each day. Cost is $50 per campers. Youngsters will have the opportunity to work with Bunn High School players and coaches as part of the event. 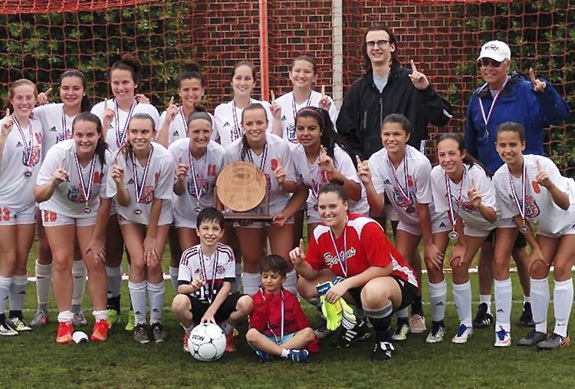 HENDERSON -- The Kerr-Vance Spartans defended their state title recently, coming away with a 2-0 victory against Statesville Christian School in the North Carolina Independent Schools Athletic Association Girls Soccer State Championship. The match was played in off-and-on rain, but the Spartans controlled the ball the entire match. Members of the Kerr-Vance Academy baseball state title squad were (back, l to r) Coach Mike Rigsbee, Rob Jones, Marc Howell, Matt Overton, RJ Johnson, Tom Echols, Lane White, Cole Merritt, Shane Garrett, Wyatt Humphries and Coach Todd Wilkerson; (front, l to r) Tanner Rigsbee, Cam Murphy, Colby Wilkerson, Wil Short, Chance Murphy, Joel Lewis and Joseph Knott. Members of the Kerr-Vance Academy girls soccer state title squad were (back, l to r) Katelyn Ballentine, Juliana Negron, Mary Richardson, Bonnie Evans, Annie Wiggins, Kaitlyn Combs, Manager Ira Wilder and Coach Tommy Farmer; (middle, l to r) Ashley Dickerson, Riley Short, Nicole Dunkley, Caroline Hoyle, Lorena Negron, Emma Hogge, Emma Mooring and Phoebe Evans; (front, l to r) Tudor Tegan, David Tegan and Holly Steg. RALEIGH -- After much anticipation throughout the day two Sundays ago, North Carolina State Univrsity Wolfpack fans from all around the state were concerned about whether or not the 'Pack would host an NCAA Baseball Regional. That night, it was announced Elliott Avent's Wolfpack would once again be hosting -- State's fourth time acting as a one-seed in a regional in the past seven years. 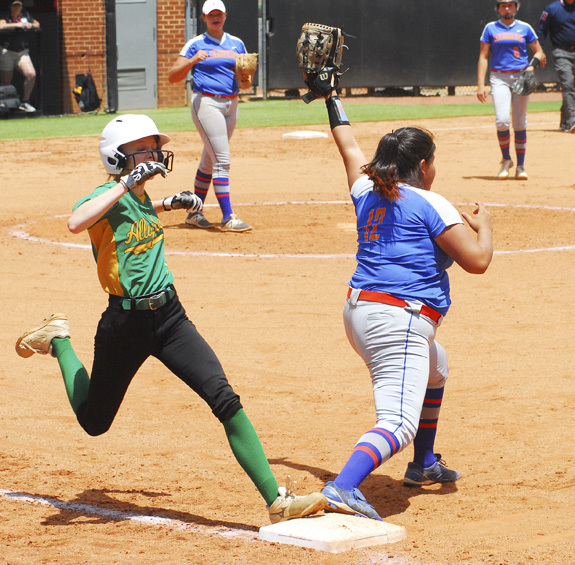 Louisburg's Brenda Mata (right) retires an Alleghany runner at first base during last Saturday's state title softball showdown. 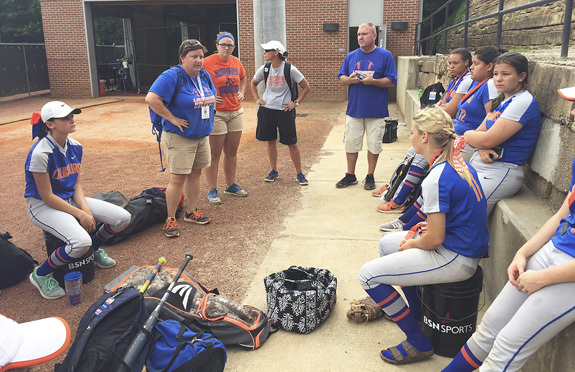 Louisburg High School softball coach J Stamey (second from left) addresses her disconsolate team after last Saturday's loss to Alleghany in the Class 1-A State Softball Championship at North Carolina State University's Dail Field in Raleigh. 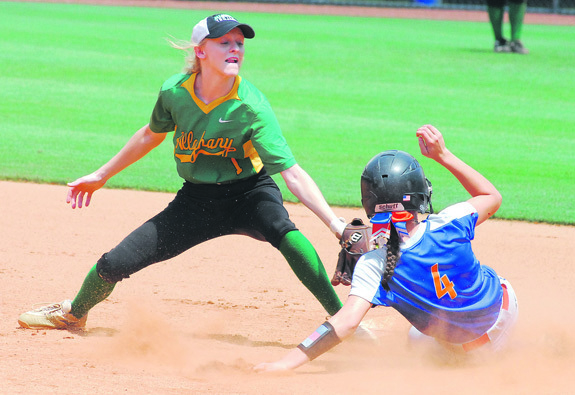 Louisburg's Taylor Ferguson (left) receives the ball on a pickoff play during last Saturday's game. 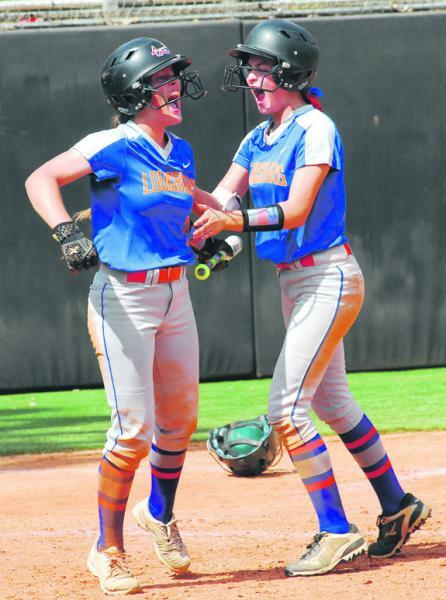 Louisburg's Ragan Holloman (left) celebrates with teammate Alex Edwards after what appeared to be the go-ahead run last Saturday, but she was later called out for leaving third base early during the state softball finals in Raleigh. 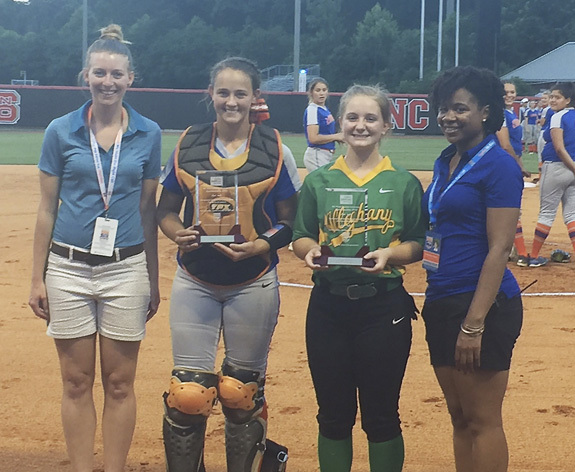 Louisburg High School's Chelsea Roberson (second from left) receives the Sportsmanship Award from the North Carolina High School Athletic Association. The Franklin Bots, a club based around robotics, was honored recently by the Franklin County Board of Education during a meeting. The Bots are a diverse team from various Franklin County schools and is captained by Louisburg High School seniors Jamal Issa and MarCo Nekoula. The team participated in the 2018 Robotics competition at the Winston-Salem fairgrounds -- and were chosen to form an alliance with the No. 1-ranked team. 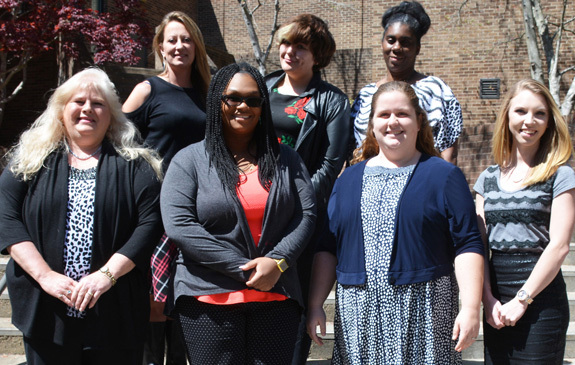 HENDERSON -- Vance-Granville Community College recognized 65 students, including a handful from Franklin County, who were inducted into Phi Theta Kappa, the international honor society for students of two-year colleges, recently in the Civic Center on the college's Main Campus. CenturyLink recently awarded Franklinton Middle School teacher Jerri Terry a $5,000 grant for innovative technology. CenturyLink employees and State Rep. Bobbie Richardson stopped by the school to announce the big win and present her with a check. Terry's winning proposal was on the creation of a Center for Innovation. LOUISBURG -- Franklin County sheriff's deputies are investigating a shooting sparked by a domestic violence disturbance. According to authorities, Willie Jiggetts went to the home of his estranged wife just before 4 a.m. on June 5 and kicked in the door to the Echo Lane home. Once inside, authorities said, Jiggetts confronted his wife and another man inside the home. GOLDEN EFFORT. 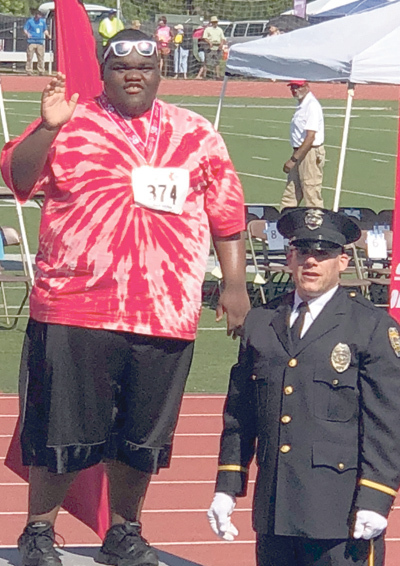 Special Olympian Lorenzo Stancil received the Gold medal for a winning performance in the 50-meter walk event. RALEIGH -- Franklin County sent six athletes to compete in the Special Olympics North Carolina Summer Games. They returned festooned with medals and ribbons. Samantha Munson, Mychael "MJ" Parker, Lorenzo Stancil, Carly Young, D'Kayla McBride and Justin Johnston joined thousands of athletes from across the sate, competing in athletics, bowling, cheerleading, cycling, gymnastics, powerlifting, softball, swimming and volleyball.